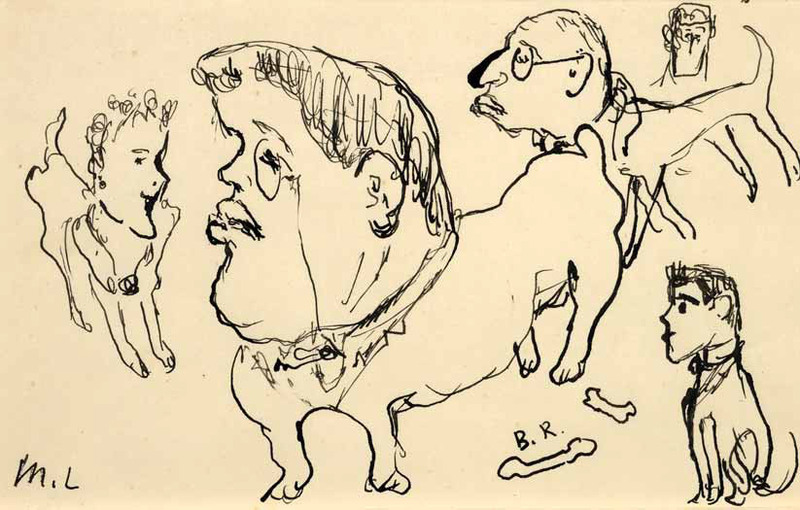 Julian Barran, a renowned British art-dealer and collector was an auctioneer for many years at Sotheby’s and specialized in Diaghilev and Ballets Russes sales. 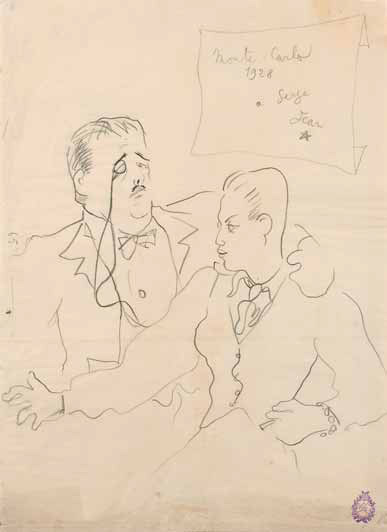 Summer 2009 was marked by a representative exhibition devoted to the centenary of Diaghilev’s enterprise. 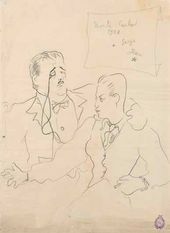 Organized in London by Julian Barran at The Daniel Katz Gallery the exhibition showcased a rich collection of original costumes, vintage photos, drawings and caricatures by the outstanding team of Diaghilev’s world-famous artists and designers. Written especially for the Tretyakov Gallery magazine Julian Barran’s article speaks about those people who cherished Diaghilev’s legacy and for years preserved it for generations to come to admire. He generously shares some pearls of his collection with readers. Of course I never saw the Diaghilev Ballet, or the de Basil. I do remember when I was 13 hearing my grandmother who had been born in the last decade of the 19th century say that she had seen Nijinsky dance. Her father James Tuohy was a journalist and parliamentary correspondent, and he often was given tickets for Covent Garden. 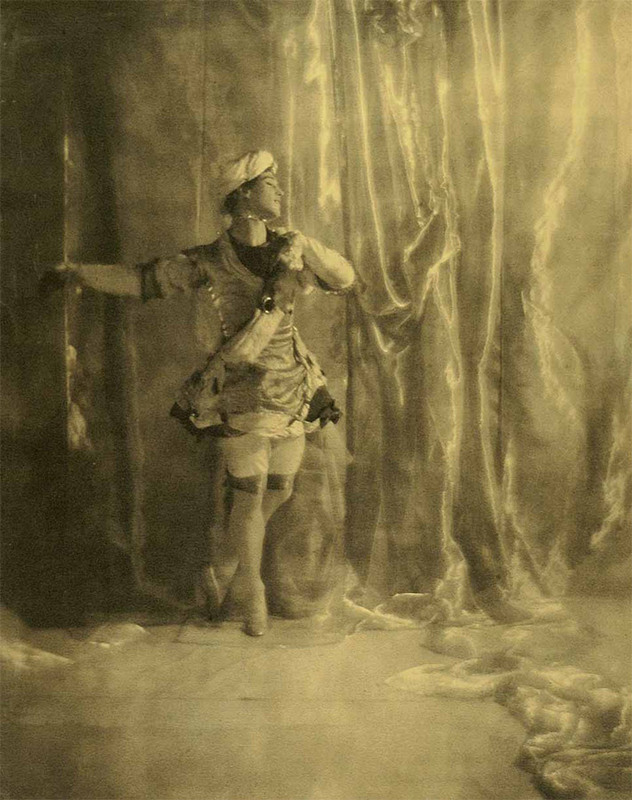 My grandmother could have attended any of the pre-1914 seasons of the Diaghilev Ballet. I know my mother went to the ballet in the inter-war years and she admired Massine. She told me about his wonderful dancing in “Beau Danube”. The first time I went to the ballet was to a performance at Covent Garden of “Romeo and Juliet” with Margot Fonteyn as Juliet and Rudolf Nureyev as Romeo. In a school play I had acted the part of Romeo in Shakespeare’s stage play. The ballet seemed so much more real. After that I saw Fonteyn and Nureyev dance in many roles. The time was the 1960s and “Swinging London” was in full flow. My first job had been working for an antique dealer, who had a shop on Chelsea’s Kings Road. My second was working as a porter at the London auction house, Sotheby’s. After a few weeks guarding the exhibits in the galleries, I was asked if I would like to work on the sale of costumes and decors from the Diaghilev and de Basil ballets. My immediate boss and benefactor was Baron Thilo von Watzdorf, a young German man who had trained as a dancer with Bejar, whose older brother was married to Massine’s daughter and who was already a close friend of Nureyev. Thilo was the perfect person to take on the role of organizer of the sale of the multitude of Ballet costumes and decors belonging to the Diaghilev and de Basil Ballet Foundation, which Sotheby’s had been comissioned to do. The sales came about in the following manner. In 1967 a lady called Vera Bowen had got in touch with Sotheby’s in order to try and sell a quantity of original costumes which she had received. The costumes were some of the most important dancers’ costumes from the Diaghilev Ballets. She had received them in payment for translating Serge Grigoriev’s memoire “The Diaghilev Ballet 1909-1929”. 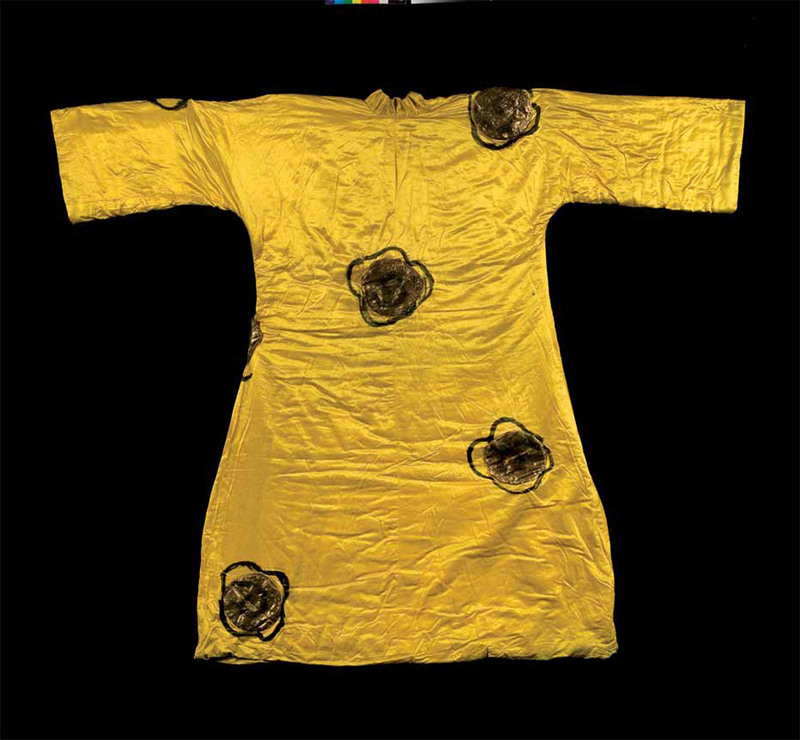 As the costumes included ones designed by Picasso for “Parade” and others designed by 20th-century masters, as well as ones by Leon Bakst, the Sotheby’s department selected to deal with the sale was the Impressionist and Modern Picture dept. Thilo von Watzdorf with the enlightened head of the department Michel Strauss, gathered together, round this group of costumes, a collection of Russian ballet memorabilia including portrait drawings, designs in watercolour of the costumes, musical scores for ballets, contracts with dancers, bronzes of ballerinas and other ephemera. A gala evening in aid of the Royal Ballet School was organized, attended by Her Royal Highness Princess Margaret and a great success was made of the sale. On the back of this success Sotheby’s were contacted by a strange elderly Greek gentleman called Mr. Anthony Diamantides, the Chairman of the Diaghilev and de Basil Ballet Foundation. This was a charitable organisation which looked after the welfare of the retired dancers, choreographers and officers of the former ballet companies. Due to lack of funds this Foundation had fallen into financial difficulties and the only asset it had was all the surviving ballet costumes and decors going back to the earliest production in 1909. Diamantides, seeing the success of the 1967 Ballet Sale dreamed that he could sell the thousands of costumes and tens of decors. He had to get enough money at first to pay off many years of warehouse storage charges. This Sotheby’s advanced him against future sales, because the directors of Sotheby’s, encouraged by Watzdorf believed they could create a financial success out of such an unlikely consignment. All the hard work of sifting through hundreds of baskets, identifying thousands of costumes, selecting suitable ones for photography, choosing models from among the students of the Royal Ballet School and cataloguing these weird clothes had all been done before I appeared on the scene. The sale was scheduled for July 17 1968 in the evening at the Scala Theatre London. My task was to help gather together the catalogued costumes which were being exhibited in an Edwardian house in Knightsbridge. Prior to the exhibition the costumes had been stored in a warehouse in West London. The full extent of the undertaking was laid out in vast second floor storage space. Row after row of metal clothes racks supported the hangers on which were suspended the myriad costumes. Beneath the rails, wicker hamper after wicker hamper spewed open to reveal accessories: boots, crowns, hats, tights, ballet shoes and other less easily identifiable pieces of theatrical apparel. I wondered how I would ever distinguish costumes designed by Bakst from those designed by Goncharova or Larionov. There were just so many. 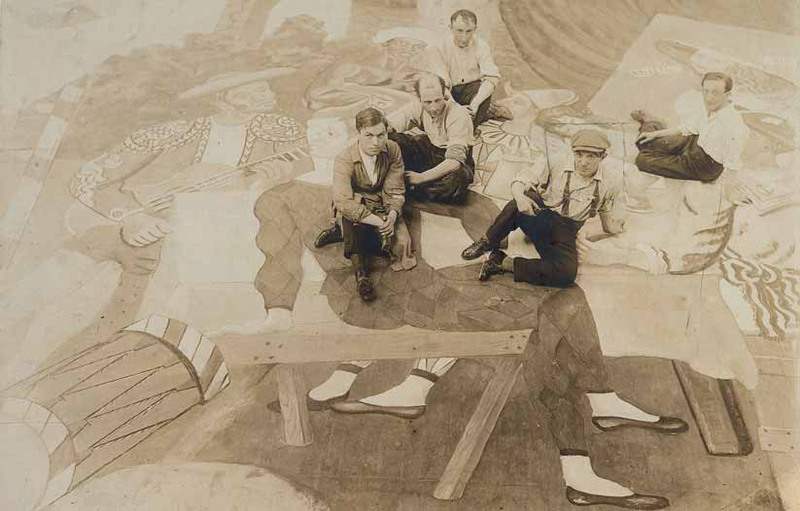 Helping to arrange the exhibition brought me into contact with one of the giants of the Diaghilev world, Richard Buckle. Richard Buckle, who became a friend and at whose funeral I made one of the addresses, was the supreme expert on the Diaghilev Ballet. He had organised the 1954-1955 Diaghilev Ballet exhibition in Edinburgh and London. This exhibition was to become a touchstone for all future ballet shows. He was later to write the life of Diaghilev and then one of Nijinsky. 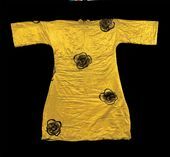 He had been over to Paris in 1967, in the wake of the very first auction to assess the enormous collection of costumes which Sotheby’s had been asked to sell. Buckle catalogued each lot, he supervised photography sessions, he contacted endless former dancers and relatives and descendants of choreographers, musicians, composers and dancers. Buckle became the leader of the Diaghilev sales at Sotheby’s because more than anyone else he galvanised the buyers, especially the museum buyers, who funded the purchase of many of the splendours now in the Victoria and Albert Museum. His triumph was to secure the money so that Picasso’s front-cloth for “Le Train Bleu” was saved for the nation. The work is now on show in the Tretyakov Gallery. I well remember the evening of the 17th July 1968. The sale was held at the Scala Theatre in London’s Charlotte Street. The theatre has now been pulled down but that evening it rang to the sound of “first night chatter”. The sale had been billed as the event of the London Season. Everyone was there. Stars from the ballet, of course. Actors, producers, artists and museum directors. The most glamourous of “Swinging London’s” glitterati were in the audience. The sale was an unbelievable success. Each group of costumes to be auctioned was modeled on stage by student dancers from the Royal Ballet School. The dancers would be preceded onto the stage by strains of music from the ballet they represented. They would do a small dance, then hold the pose until the hammer fell and their lot was sold and then they would dance off. The sale took nearly four hours, but it was a magical evening. The other characters I met as result of my involvement with the Ballet were Massine, Dolin, Markova, the nieces of Leon Bakst, the daughter of Alexandre Benois and many others. It has provided me with endless knowledge and endless pleasure. I send with this article my best wishes for the Exhibition at the Tretyakov Gallery Museum.